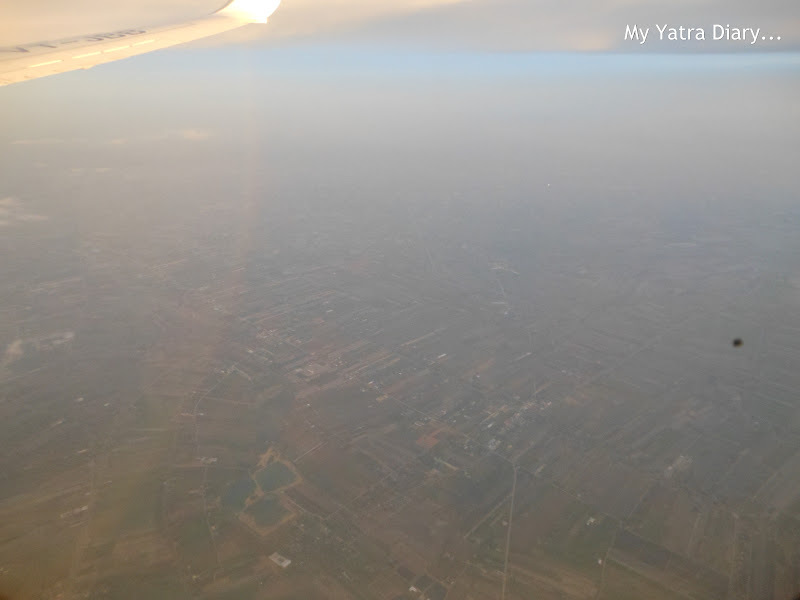 Day 1: LANDING IN JAPAN - Review of Hotel Villa Fontaine Roppongi, Tokyo - Expedia Office Meet. 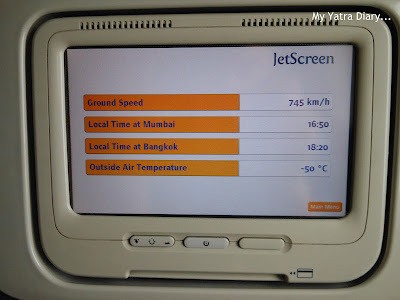 It was unusually exhilarating as my Jet aircraft took off from Chattrapati Shivaji International Airport, Mumbai. I reminisced the time when I had sat in an air plane for the very first time in my life... it was a feeling very similar to that time that I'd experienced... only this time, it was more due to the destination that I was headed to. 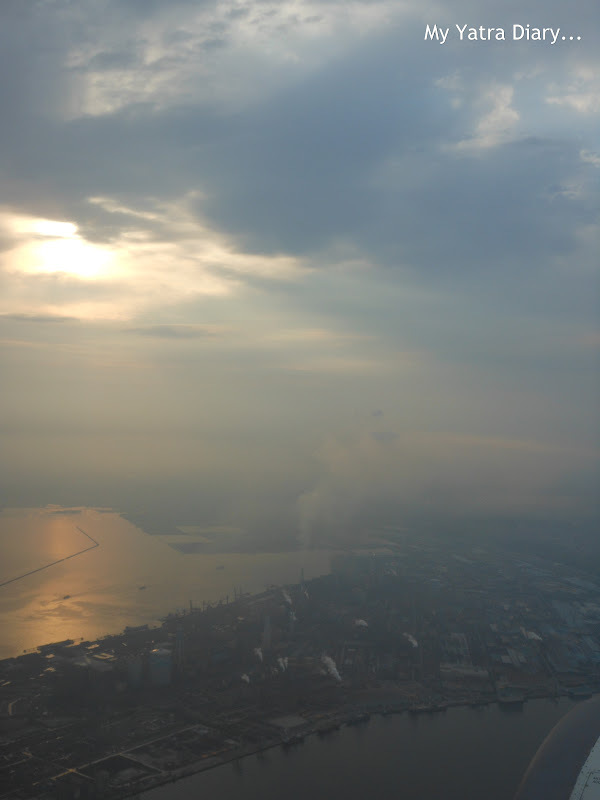 I grabbed my window seat and watched all those iconic buildings, all the dramatic chaos of my city gradually shrink and eventually faint in the distance. 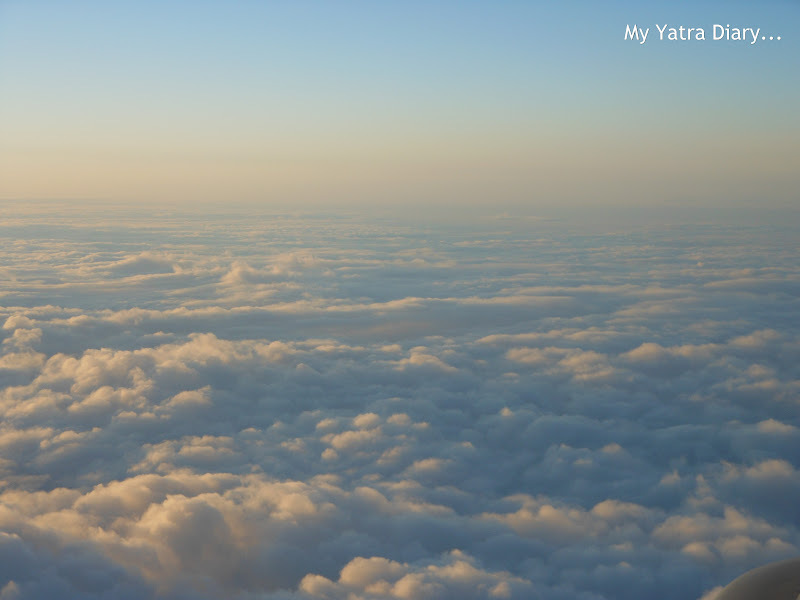 Miles high up in the air, it felt like having entered a world different altogether. 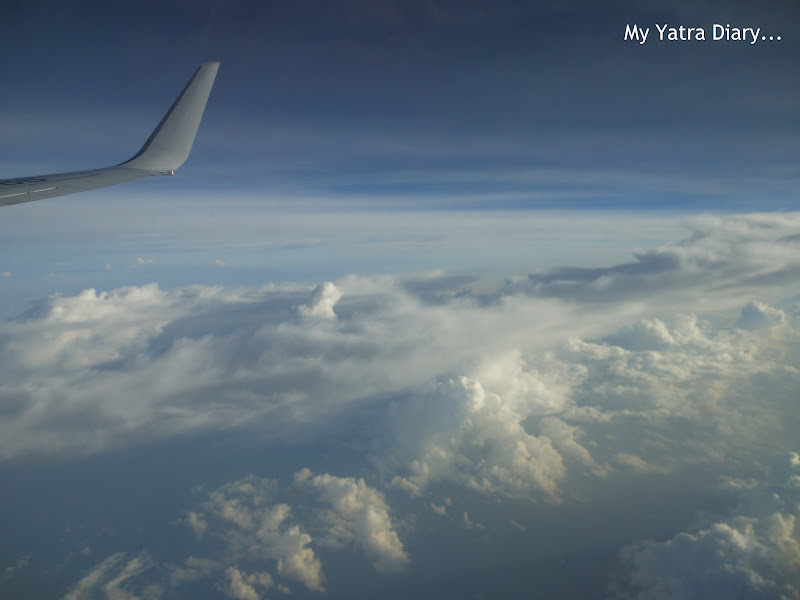 With a thick dense fluffy cloud cover enveloping our airplane, I forgot all the petty disturbances, all the tensions and anxieties drained in our lives and drew myself towards the beautifully assorted colors of sublime nature. As the dial of my watch kept ticking, the distance kept attenuating and we kept getting closer to our destination. The next day early morning, Japan Airlines (connecting flight to Japan from Bangkok) saw me peeping out of my glass pane in awe... the entire landscape had been sprinkled with diverse hues of oranges, blues and whites. Waking up in the Land of the Rising Sun with this magical sight... ah, there couldn't have been a better start to my journey, I mused! I felt blessed! Looking through this veil, Japan looked every inch the beautiful bride blushing. 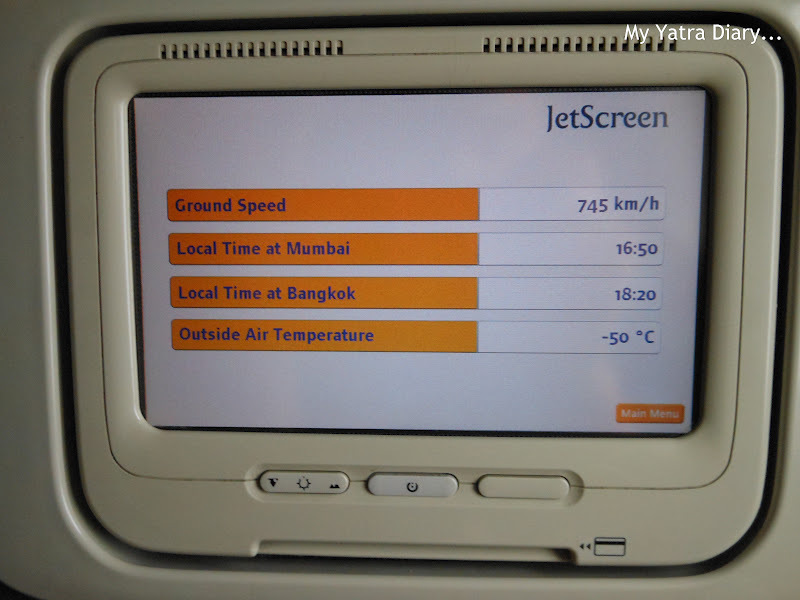 The aircrew directed us to fasten our seat belts and to switch off all our electronic equipments as the flight prepared for landing. The flight came to a halt and I stood at the air plane aisle... a bit uneasy, getting ready to disembark with my passport in hand. Best Season to Visit: Even though my visiting season was end of Spring (early June) and starting rains, not one of the best times to visit the country, fortunately I was blessed with a very good weather and an even wonderful company. But tourists generally prefer to visit Tokyo in the spring or the fall season when the colors in nature are in full flourish. The climate in Tokyo from March to May is especially inviting, with temperatures hovering around 15 deg. cel. to 23 deg. cel. or more. The plum and cherry blossoms are not to be missed in the spring months, while the maples and autumn shades are equally impressive between late September and November. Travel Tip: If you are planning to visit the country anywhere around end of May, start of June or later, do not forget to carry an umbrella with you as the weather at those times is highly fickle. Marvelous captures from the plane, Arti! What gorgeous skies!! Enjoy! 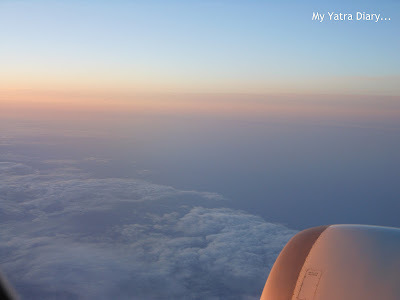 reading your post...i reminisce the pot pourri of feelings that I(or any fellow traveler) go through on a travel...be it in India or abroad!! @Arti Just read your post on your Japan yatra.Thanks for sharing Beautiful photographs.Great description.Thank you and waiting for more...Take care.Have a nice week. Your travel started with such beautiful skies. It must be an exciting time for you and your father! Read throught your post, made me remember the first experience of flying. the pastel colors of the sky are superb - simply breathtaking really. you couldn't have had a more beautiful view. I hope you're having the time of your life! happy week to you Arti. Looking forward to more from your wonderful trip. That was beautifully narrated! Gorgeous pictures too! Ah! So it has started and started well. Waiting for the next. Beautiful account. The skies are beautiful too. I know that feeling you get when you are about to land in the place you are visiting....:) Nice shots :) Did you manage to learn any Japanese words? Nice. The cloud photos from the flight were too good. I always thought they won't come too well. i am loving your series on Japan, Arti. it's like we are with you as you travel. My dream prize for the Expedia comp was the Japan trip. Alas I was not to win but now I shall follow your adventures. Congrats and enjoy. 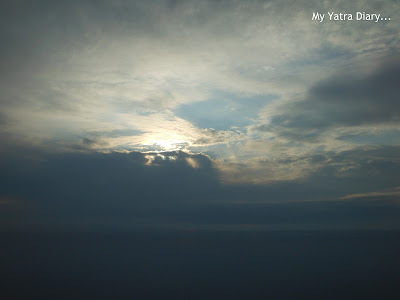 i thought u will put a foto of Welcome Japan .. after the good bye mumbai ..
Beautiful photos of the first ays of sun. What a beautiful sunrise to welcome you on your visit to Japan! I was in Tokyo in early June 2008 and was told that monsoon season there begins in late June, so I was lucky! The weather was beautiful when I was there. Looking fwd to more of Japan. Please learn a few words too. Those were some breathtaking pics you took from the aircraft!! Beautiful hues makes the heart soar...:)))Great shots and a nice travelogue!! Can't wait to hear more Arti. Lovely pictures, and write up. Beautiful pictures..waiting for the more stories of Japan. I think I know how you were thrilled with all the new experiences from taking off to landing. I’m also happy with the rosy color prelude. Nice shots taken from the flying airplane! Superb pictures,this is double bonus-sunrise in the land of the rising sun. great start. have been looking forward to this, arti. You know about Japan better than me in a way. When I look Jspan from a plane it's just like your photo. I am looking forward your next blog about Japan. Wonderful sky shots! Can't wait to see your photos of Japan. आपकी यात्रा में ये गाने आपको भी याद आये होंगें. You have an amazing narrative way! 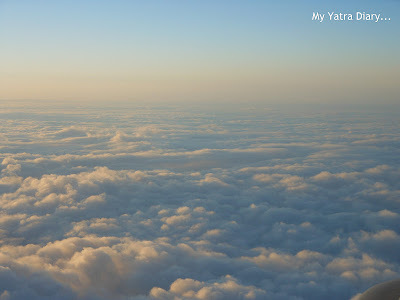 Wonderful pictures of the sky and very interesting trip to Japan! please post more about what you saw and what you ate and if you had trouble language wise. Will cover all that in the coming posts! Oh I'm so excited for you. Enjoying your travels already, I long to hear more about your adventures. Awesome Arti. Very happy for you. Your photos are marvelous. Have a nice time. Enjoy. Looking forward to other posts..
BTW, Congratulations Arti (belated though..) Glad you were the one selected blogger..! Will wait for the details of the trip to unfold on your blog. Great start. Gorgeous pictures. Waiting for the travelogue unfold in your unique style, Arti! You are so lucky to be in this wonderful and beautiful country! The shortest stay for me was the changing of planes at the airport in Narita. Have a wonderful time and stay! Thanks for all your nice comments Arti. I hope to be back blogging full time. P.S. I have first cousins in Japan, and hopefully could spend Spring time visiting. waiting for other posts on Japan..
great post indeed...pics reminded me of the days when i flew to Germany once...i was in the same mood as you were while taking snaps while in air ! This post touched me in more than one way. The very first pic brought back all those memories of my first trip abroad. Lovely pics from the plane.